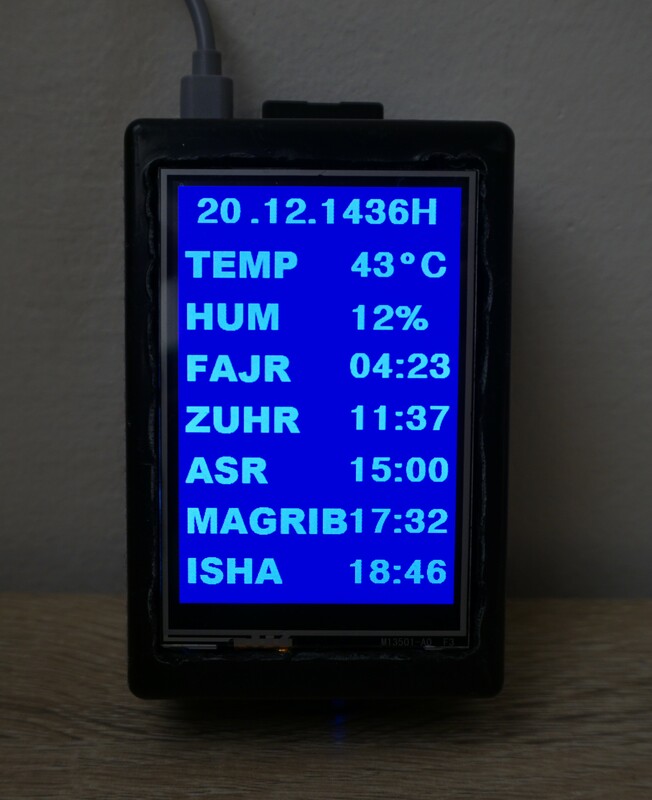 In the previous post, I showed how to make a Raspberry Pi powered Prayer times display using PiTFT. In this post I will show how to make a Raspberry Pi powered Prayer times display using a TV or a monitor as not everyone has PiTFT display. 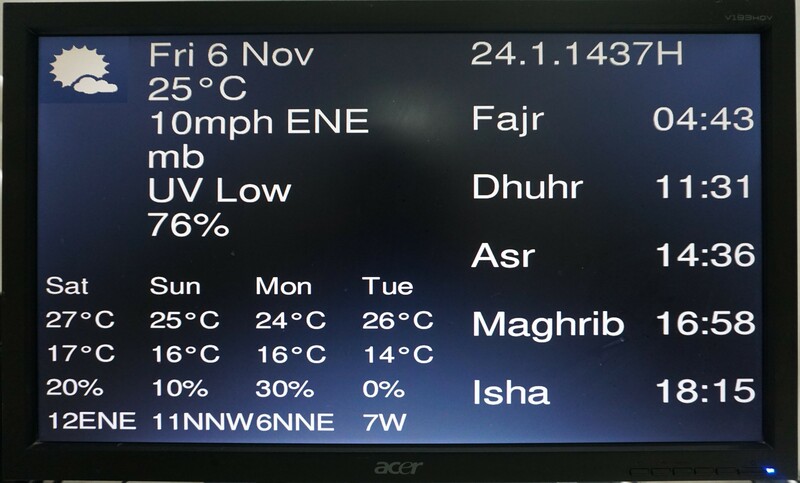 This project is based on article by Jamie Jackson “Raspberry Pi PiTFT Weather Station” and “Turn your Raspberry Pi into an Azaan/Prayer clock”. You can refer to those for more information. I am just an integrator who puts works of other people together according to my requirement. Disclaimer: Since the Islamic date and prayer times are based upon calculations, it is very well possible that it may differ from the actual date based on moon sighting. Also, the prayer time can vary from the actual prayer time of the location.